Wow - thank you for such a comprehensive answer. If your writing in the book is done to the same level of effort and understanding - I'm excited to read it even though I feel like I'm well versed in the subject! Thank you so much for taking the time - I am actually interested in really moving all of our pipelines to the new syntax. 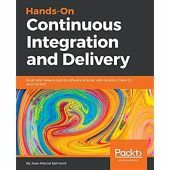 How well does your book translate to the world of CI/CD with respect to containers and Platform as a Service hosts like OpenShift? Also are you addressing the Sec part of DevSecOps in your book, and how tied into your pipeline is it? Welcome! Looking forward to a lively discussion! I think so many places don't think about the "responding to attacks" part of the equation very well. At the same time, a lot of proven techniques can and should be ported to modern environments, so the book goes over the important stuff and explains how to implement it. And in server-less computing - your attacker may be on the same host...just doing nefarious server-less computing. I think over time this will be the way of the future, but depending on your data - you may want to watch and wait cautiously. 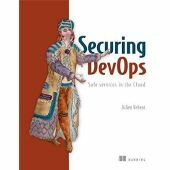 Julien Vehent wrote: Securing DevOps is a technical book, so we talk about tools and techniques a lot! Part 1 is a complete implementation of a CI/CD pipeline and all the security components that we can fit into it. It's 100% hands on. Part 2 is also very technical but more focused on presenting tools and techniques and less on helping the reader implement them (you'll have to do homework). Part 3 is a little less focused on tool but we still present half a dozen of them in the chapter on security testing (ZAP, Scout2, bandit, gas, etc.). Interesting - I guess I've got a list of tools to look at and evaluate! Thanks! 2. Monitoring and responding to attacks. It is the fate of online services that they will get broken into eventually. When incidents happen, organizations will turn to their security teams for help, and a team must be prepared to react. The second phase of continuous security is to monitor and respond to threats, and protect the services and data the organization relies on, through techniques like fraud and intrusion detection, digital forensics and incident response, with the goal to increase the organization’s preparedness to an incident. Having an Incident Response plan before the incident happens is very important. You don't always want to just "cut off" the attacker - as you may want to silo them off and see what it is they plan on doing. I think so many places don't think about the "responding to attacks" part of the equation very well. What is your "definition" or "elevator pitch" for what is DevOps and what is DevSecOps? I'm kind of curious to kwow how much the book delves into tools of the trade? Also, I'm curious to know your "definition" or "elevator pitch" for what is DevOps and what is DevSecOps? Actually, I think I will make that a new topic as I'm curious to know what the general audience has an an answer to that. Welcome Julian! Looking forward to a lively debate and discussion...and a lot of learning from others! Click at the Look Inside if you want to view the Table of Contents. 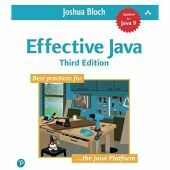 I am a bit curious to know if Josh can provide some information on the sections that may include some of the new features included in Java 7 and 8 such as better connection management and/or concurrency. I've loved the previous versions, and would love to know what we can look forward to in this new book that will also help us to get up to speed with some of the newer features in Java that maybe haven't been adopted as well as they should be by our teams. Welcome Josh! I can say that I'm thrilled that you are here, and that I have learned a lot from your previous books. I'm sure that your latest addition will sure be a game changer as well! 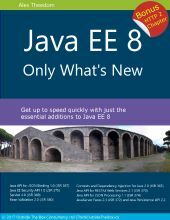 In the book, I demonstrate with plenty of code examples the new features added to Java EE 8. It includes two large chapters on the brand new security API and JSON Binding. There are some really cool new additions such as the Reactive client in JAX-RS and asyn events in CDI to name just a few. I touch on the spring framework, although version 5 does looks really interesting. When developing microservices you can develop some in Java EE, some in Spring other in GoLang or whatever best solves the problem. In terms of mixing them in one project, I suggest that there would have to be a very good reason for doing so. Perhaps some of the Spring APIs could be used with a Java EE project but making them work together might be more of a headache than its worth. Thanks for the reply - and for highlighting some of the things to look out for. The security API and the Reactive Client have definitely piqued my interest! With the move to the Spring Framework we saw many industry leaders move away from some of the older technologies in EE for what the Spring Framework included. With JEE3, we started to see some benefits in EE again, and a bit of a hybrid approach to picking and choosing what was good from Spring, but also pulling in some of the good technologies that JEE3 brought to the table. Do you address the Spring Framework and go over the pros and cons of Spring versus EE, and where they can work together, and where it is best to not intermingle? Welcome! Looking forward to some lively discussions and learning about the the new things I need to focus on!